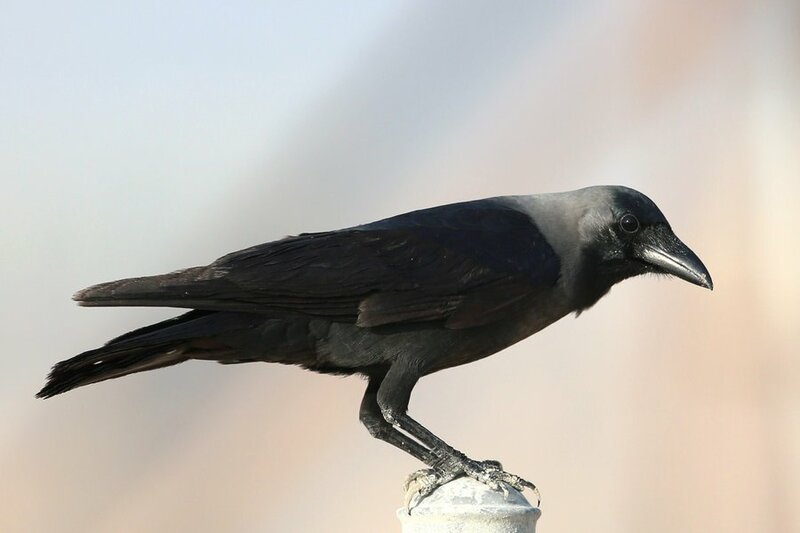 The House Crow (Corvus splendens), as it name suggests is a member of the crow family and is approximately 42–44 cm long (body and tail) and weighs 250–350 grams. Their plumage is glossy black, except for the nape, sides of the head, upper back and breast, which are grey and not glossy. Their bills, legs and feet are black, with males and females being similar, only males being slightly larger and they live for about 6 years in the wild. The species is a recent colonizer of Saudi Arabia, and has a native range extending through the Indian sub-continent from Sri Lanka north to Nepal, west to southern Iran and east to Yunnan in China. On the east coast of Saudi Arabia birds are most often seen at Dammam Port where at least forty birds are present although they first occurred in Ras Tanura, approximately 50 kilometres further North in the 1980’s. They became plentiful by the end of the decade but an eradication scheme in the 1990’s decimated their numbers but did not eradicate them completely. A couple of pairs are present in the Dhahran area which is ten kilometres inland from the Arabian Gulf but there are no large numbers present at the moment. 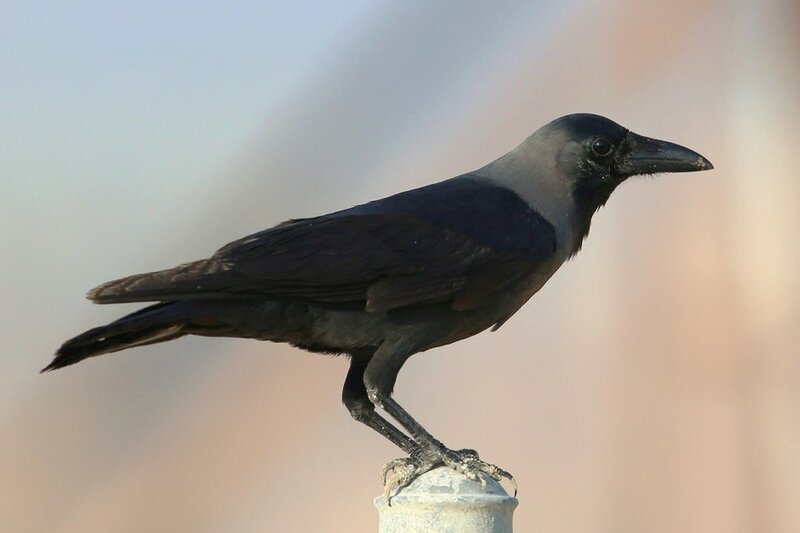 A program is in place to try to prevent the species becoming established in Dhahran, where there continued existence may hinder the breeding and success of native bird species. In most places House Crow numbers are linked to human population size, due simply to the expanding amount of rubbish generated. Nayari et al. (2006) suggest that House crow populations are totally dependent on people and that non-dependent populations may no longer exist. 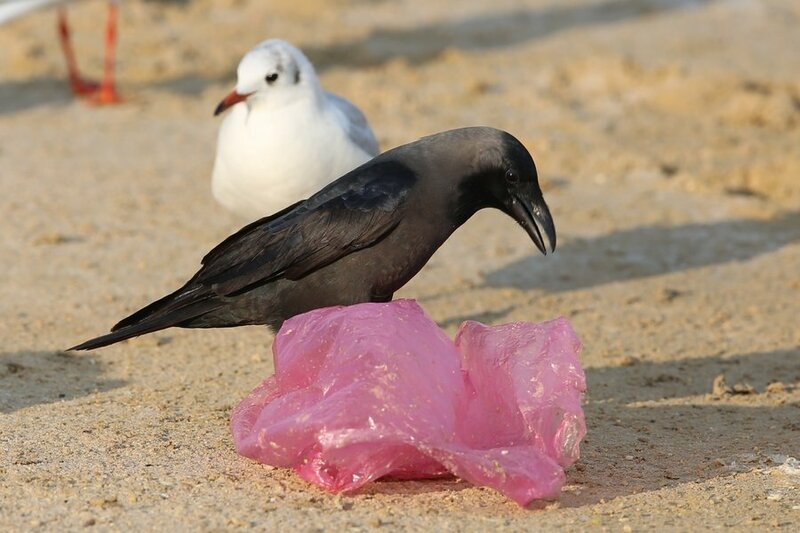 This is certainly the case in Dammam where birds have spread from Dammam Port into Al Khobar along the heavily populated coastal strip and birds are almost invariably seen feeding on human rubbish and waste material. The photo of the bird with the red plastic bag is not aesthetically pleasing but captures the environment where most of the birds are seen. Cool studies. Your Probably Muslim so have a happy Ramadan. We want to get a crow feather. If we go to ras tanura will we find one?